Google Primed for Mobile Websites, are you ready? What is mobile friendly indexing? Google has announced this month that they have started implementing a ‘mobile-first’ approach to their search engines. What does this mean? It means that there is a major shift taking place in the way that businesses market themselves. And Google is taking action to stay on top of the search engine game and deliver the content that shoppers are looking for. In the early days of mobile development, you had to design a completely different website to adapt to mobile devices. But with the rise of WordPress and responsive templates, it has become less necessary to make a different site for mobile phones since the software translates your WordPress site to a mobile format. But for the early adaptors and those companies that have invested in a dedicated mobile experience, you need to be on top of this. We hate change, why not just leave things the way t hey are? a different purpose. So to cater to the growing number of mobile users, Google is starting to adjust their algorithms to primarily use the information on the mobile version of your site to rank pages. This means that if you have separate mobile websites you need to make sure that it has all the content that you are currently ranking for, otherwise your ranking could drop because of these changes. All website design from myNooga.com is based on responsive WordPress. So if you’re a myNooga customer you have nothing to worry about. But if you have an older website that is not mobile friendly, or you designed dedicated mobile websites in the past, we would love to hear from you. We can upgrade your design to a new, Google friendly, responsive format that the new wave of mobile users can easily access. 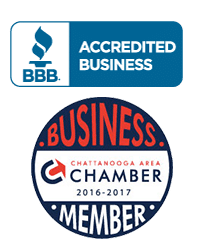 Chattanooga website design from myNooga is more than just design, there is a lot that goes on behind the scenes to put your business in front of as many new customers as possible.